"I feel great. 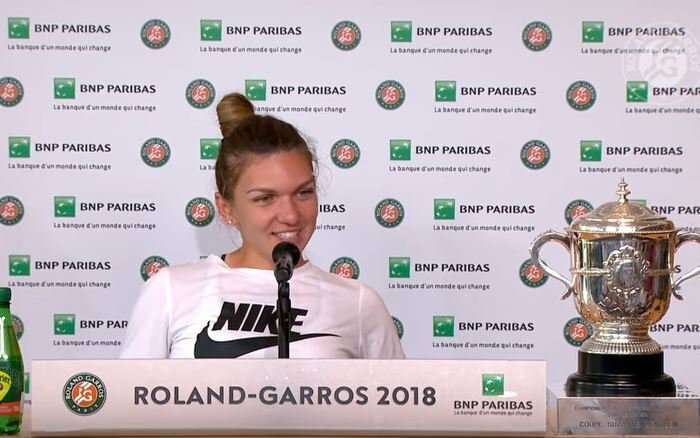 I feel very happy that I am on top two years in a row," Halep told a news conference at Moscow's Kremlin Cup, a joint ATP and WTA event. "It has been an amazing year, the best year of my life in tennis. Winning a Grand Slam makes it very special and it is going to be forever in my heart." Halep played two Grand Slam finals winning the French Open crown and won titles in Shenzhen and Montreal, leading the rankings for 40 weeks this year. She said her phenomenal success was the result of her daily hard work. "I was very focused on what I have to do on court, I was working hard every day, I was very motivated all the year, I did not let the time fly just without putting my work into the game," she said. "I never gave up, I tried every day to become better and better. These things all together help me to keep me for four-five years in the top five." The world's number one, who has already qualified for the WTA year-ending finals, added that she decided to play in Moscow to solve the problems that she still experienced after the back injury before playing at Singapore. "I came here to make sure that I am able to play, because my back is not great yet," she said. "I am waiting to see how I wake up tomorrow, because today I had a tough practice. I will see how it works here and I will go to Singapore."